In celebration of Mother’s Day, I wanted to dedicate this podcast episode to the mom’s in my audience. If you’re not a mom, I believe you will still find value in the principles and lessons that I share in this episode. I encourage you to share this letter and episode with the mom’s in your life, particularly the mom’s who are also entrepreneurs. These are my thoughts to the mommy-entrepreneur. 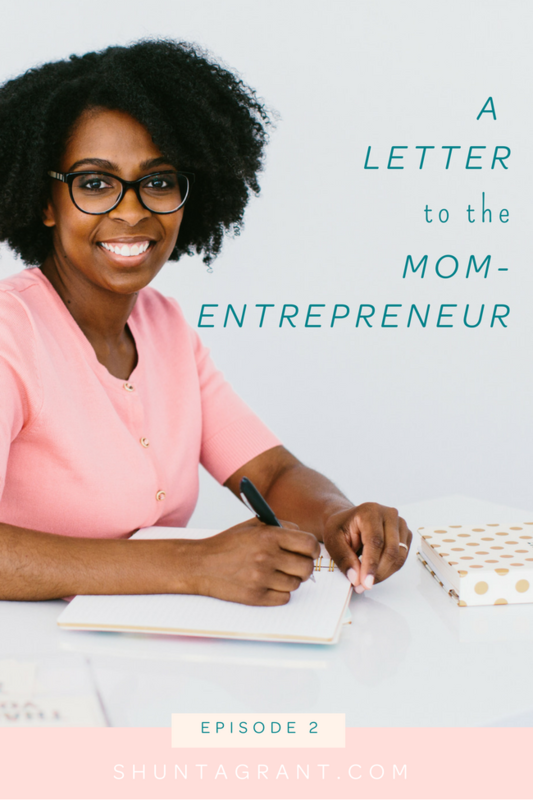 I write this letter to you because we share two things that bond us: we’re mothers and we’re business owners. Those two things make us pretty awesome. I believe that moms have the best experience that sets us up for success in business. Think about everything you are as a mom: loving, strong, problem solving, serving, understanding, sacrificing, among so many countless admirable qualities that we learn and perfect as we grow in motherhood. This is the type of person we need growing and creating businesses. But I’ve witnessed so many moms view motherhood as a hindrance to being an entrepreneur. On the contrary, I think mothers have the upper hand when it comes to business. Mothers possess the power to turn lemons into lemonade and the creativity to see an empty box as a fort. With our optimism and innovation, moms have the makings of a powerful business owner, or whatever it is you want to be for that matter. I want you to view motherhood as your secret weapon in business rather than something that hinders you. So many mom-entrepreneurs consistently talk about the lack of balance they feel in their lives when it comes to growing a business and being a mom at the same time. I want to give you permission to throw the word “balance” out of your vocabulary, and here’s why. Picture a woman walking a tightrope over mountaintops and the only way across is to balance her weight and keep moving forward. She has to equally distribute her weight while also moving to escape a deathly fall. Trying to accomplish balance in life is much like walking a tightrope. You have to keep moving forward or you’ll fall and fail. You have to equally distribute your weight, not having too much life or too much business on either side. People who strive for balance often feel stressed and like they’ve failed at the end of the day. So I want you to get rid of the idea of balance TODAY and adopt a much more pleasant way of existing–seeking harmony! Think of your life in terms of harmony. I played the cello for six years so go with me on this analogy. Think of a symphony performance–the mix of instruments and sounds you hear. One thing that always stood out to me was how so many different instruments and sounds could all play at the same time and still sound so beautiful. In a symphony, there are times that some instruments play softly while others are more prominent. But if you were to take out the instrument playing quietly, the piece wouldn’t sound quite the same. At times there are instruments that pause and wait and when they chime in, it’s remarkable! While some instruments play in the forefront and others provide the background sound, they are all playing in beautiful harmony. This is how I’ve managed to find joy and peace in my life as a mom and business owner and all the other roles that I fulfill daily. I’ve come to accept that some days I’m required to be more of a mom and put some plans and projects on the back burner. Other days a heavier workload requires more of my attention. I also understand that I don’t owe 100% of my time to my business at all times, nor do I owe it only 50% while simultaneously giving the other parts of my life the remaining 50%. This is not a way to cultivate a life of joy and peace. So with that said, I want to give you permission to do something: when in doubt, choose motherhood. When I’m working in my office and Zoe comes in and asks me to play with her, I choose motherhood. When a school event comes up, I choose motherhood. So many times we, as moms, feel guilty when we stop working to be present for our children, friends, and family. 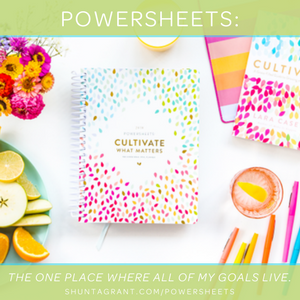 And I don’t think this guilt comes from being crazed workhorses; rather, I think the source of this guilt or negative emotion that you may feel when you’re not doing what you think you should be doing for your business stems from how we think about business. We often think of business as though it’s a race and you’re running against a competitor who’s working when you are not. I want you to let go ofthis notion. I have decided I will not feel any guilt or negatively when I choose my family over my business, nor will I feel guilty when I dedicate specific, uninterrupted time for my business. Wherever you are, be present there and be your best self there. When you are intentional about remembering to shut business off for a while, coming back to your work will feel like a treat. And when you’re done with your work and go back to connect with your family, you’ll be better able to connect and be fully present because you’ve made the time to complete work. Know that it is perfectly okay to be completely in work mode at times and to be completely in mother mode at other times. And many times you’ll have to be in both modes simultaneously and that’s ok, too. I want you to become your greatest cheerleaders instead of being your greatest critic. Celebrate something positive every day and highlight your wins instead of speaking out your shortcomings. Concentrate on your own business and grow it at the pace that is best for you and your life. And remember, our children are watching us. Be mindful that they see how we let business affect us and alter how we treat them. They also see the meaningfulness of our work. They see the stress business may bring to your life and they see the joy that it brings to your life. My guess is that your greatest WHY most likely involves your children and the legacy you want to leave for them and the character you want to instill in them. Don’t let the business, self-doubt, and comparison cause you to lose sight of your greatest WHY. Choose not to let revenue and the appearance of perfection distract you from your reason, your values, and your priorities. I write this letter to some of the greatest people I know: mothers. You possess so much strength, resolve, and love for others that you sometimes forget to show it to yourself. Show yourself love by giving yourself a break. Give yourself a break from beating yourself up for not meeting demands you’ve placed on yourself. Remember that being a mom equips you to do just about anything. Know that motherhood is not a hindrance, but one of your greatest assets. Know that I believe in you, but my belief in you will be futile if you don’t first believe in yourself. How are you going to take this letter to heart? I hope it causes you to be more gentle and gracious with yourself. I hope it helps you remember just how amazing you are. Entrepreneurship is a gift. Motherhood is a greater gift. And for me, if it weren’t for motherhood, I would not have had the courage to walk away from the practice of law or risk so much to pursue what brings me joy. I hope you believe me when I tell you that motherhood is your secret weapon. Use it and don’t apologize for it. As you go on to do great things, remember to share those wins with me. I want to hear about them and celebrate them with you. I wish you a joyous Mother’s Day and I hope this letter encourages you to think about what motherhood has done for you in your life. Celebrate something that you did today, every win counts and no win is too small! 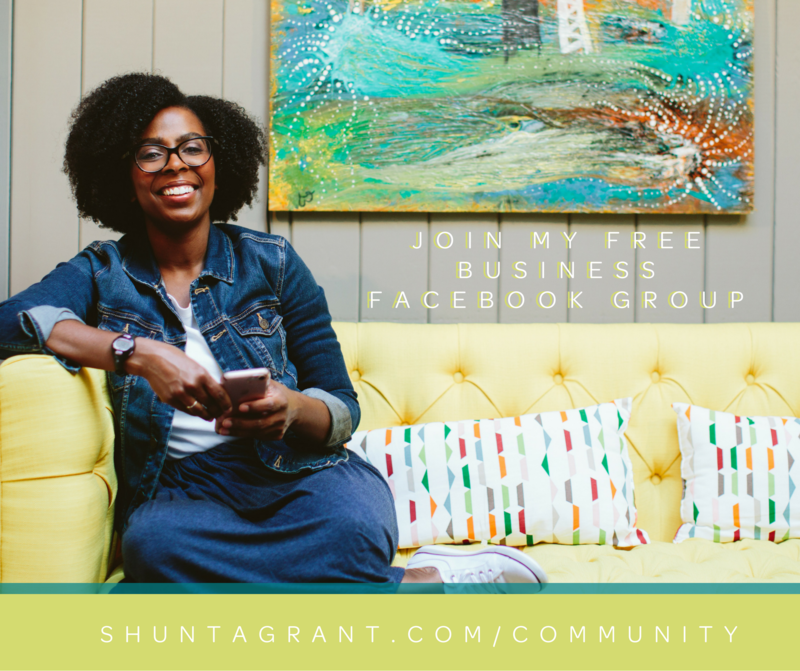 Then, join me on Instagram @shuntagrant and share your win with me! Hi there! I’m Shunta, I work with women who seek success in their businesses, but not at the expense of joy in their lives! I teach them how to build and grow successful businesses that keep customers coming back time and time again. When I’m not helping women run businesses they love, I’m reading a good book, taking a class at the gym or walking the aisles of Target and TJ Maxx with my daughter Zoe. If you believe that both your business and your life can be filled with joy, come hang out with me here on the Business, Life & Joy podcast. Did you know that success leaves clues? That’s right. 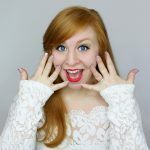 I’m sharing my courses, trainings, and favorite resources that have helped me, and thousands of other entrepreneurs, reach massive success in our business and lives! Learn more by clicking on the images below! Are we spending time together in your inbox yet? If not, let’s fix that! 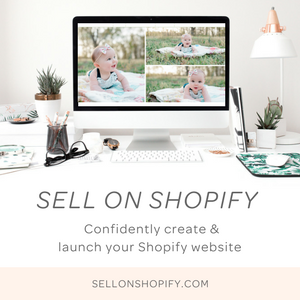 Exclusive offers, behind-the- scenes secrets, business tips and more! See you on the inside!